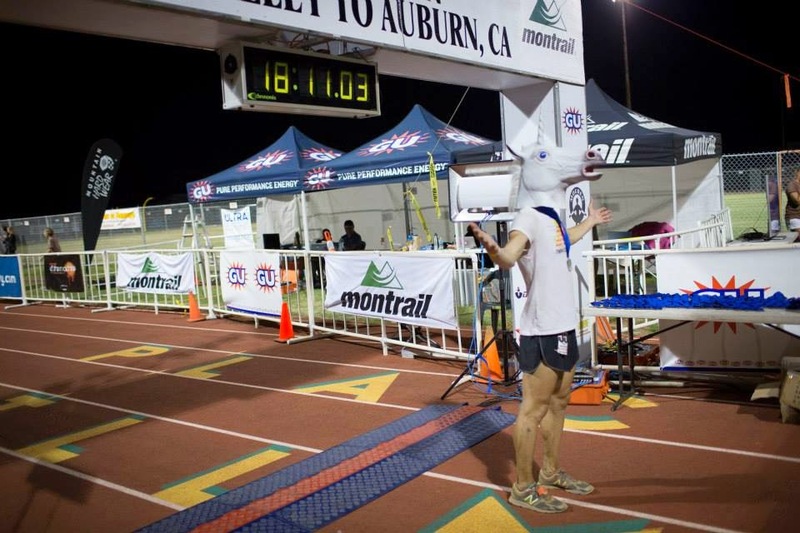 Running is a weird sport. It can crush you or make you incredibly happy without much of an obvious reason. 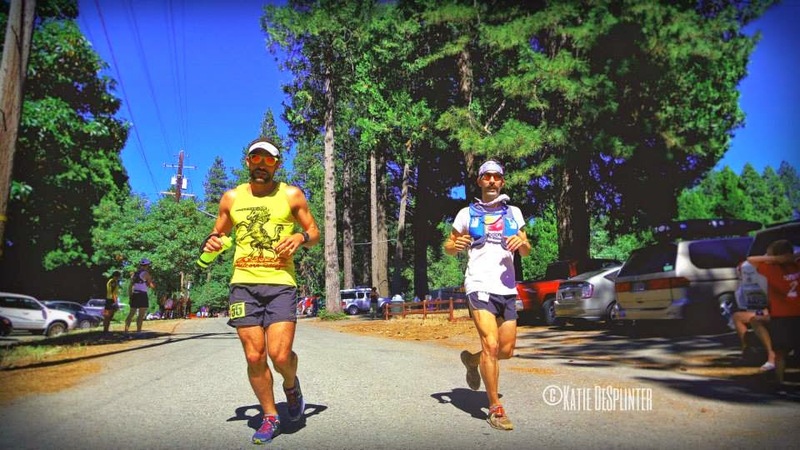 Thinking back on my 18:09 run at Western States, I can't say that I definitively know how or why my race transpired as it did. All I have are loose theories that are mostly ambiguous interpretations of a largely un-scientific part of ultra running (adrenal glands and the secretion of adrenaline and endorphins). I'll start with the basic stream of consciousness I had on race day. As I climbed up the Escarpment I thought it was an amazingly easy pace. Lots of runners were nervous, but I was breathing comfortably. After Lyon Ridge, I had to go to the bathroom as the lead pack strided on. I felt tired and sleepy as I ran along with Chris Price. We both were surprised by how easy the pace was, but it seemed like the easy pace was the right thing to do. We were running with a pack slipping back off the lead pack, but my body felt devoid of energy: no adrenaline, no endorphins, no joy. I rolled along trying to get excited on the way to Duncan Canyon at mile 23. My mind wandered back to a run I had done in early May on the first 30 of AC that felt very similar to today. I was moving slow and feeling heavy and sleepy. Nothing felt good, but I was stubborn about getting miles in. Along that run, I ate and tried to fuel my body to perk up, but nothing changed. As I slowly tumbled down into Duncan Canyon, I wondered how it was possible that I could be having such a bad day right now. I'd tapered for three weeks, and let my body sleep and rest as much as possible. I was really confused about how inconsistent this exhausted feeling was: a few bad days in May and some good days in June, and then a bad day on race day? This must just be a small weird phase in the race. As we entered Duncan Canyon, Chris mentioned how his central governor felt stubbornly set on a low effort. It's as if the body and mind are in agreement that it's too early to endure any excessive pain. In my head, I did and I didn't agree that mile 24 was the place to be jogging. My body felt worse as I tried to run more of the climb out of Duncan Canyon, so I guess the central governor won. I finally made it to Robinson Flat, and I looked bad (mostly because I want to take a nap and I feel exhausted). I sat to change shoes and to take in protein mix and Red Bull, but behind my sunglasses I was depressed. My bib number reminded me of my Dad saying "I know it's not fair, but that's life in the big city." So with a heavy heart I got up and hiked out of the aid station as the concoction in my stomach bubbled out onto the trail. Over Memorial Day Weekend, I flew up the Bald Mountain trail. I ran so fast, I missed the turn and had to back track 10 minutes and run like a wild man down to Last Chance to catch up with a group of Bend runners (King/Howe/Arbogast) to share some miles with them. I felt alive and my legs snapped back comfortably and casually all the way to Foresthill. On race day, I crawled and tried to take in more caffeine and salt to snap my body back to life. Things started to get a little better by Dusty Corners, but I still was far from being back in the saddle. My crew wouldn't listen to any of my complaints about energy, they just tied an ice bandanna around my neck and shoved me off. The difficult miles continued down to Swinging Bridge. The climb up to Devil's Thumb was a relief because my slow pace felt sufficient on the steep grade. The aid station (featuring a tactical OOJ) at Devil's Thumb was fiercely committed to getting my pack and bandanna filled as fast as possible and getting me out. I started to find a rhythm on the downhill to El Dorado Creek, but it was all for not as I left the aid station missing the single track and losing 5 minutes on the fire road. One problem I was having all day was absorbing salt to help raise my blood pressure and energize my muscles but not too much to gain water weight. I would stubbornly stop drinking and eventually slow down and succumb to drinking more and sweating out the salt (which caused my cramping and muscle fatigue to come back). So, the climb to Michigan Bluff was embarrassingly slow, and I looked trashed again in Michigan Bluff. Volcano Canyon wasn't kind to me, and I stumbled along wondering how bad the day would end. Twenty hours seemed like the likely outcome in my current state. Guillaume greeted me at Bath Road and started pumping my head with ideas of a revival. I strided slowly up Bath Road and onto the main drag in Foresthill. The energy in that small town on race day is enough to bring you to tears. I was choked up so much that I regurgitated my protein drink (twice) for all the town to witness. As bad as this story sounds, this was where things got good. My adrenal glands were kick started, and I slowly got back to racing. A few folks passed me on the drop into Cal Street, but I steadily started passing them all back. As my revival started to feel good, the sage veteran Scott Wolfe came by and said "Dom, you were 40 minutes ahead of me at Dusty Corners, WHAT are you doing here?" He and his pacer flew by, putting down a blistering pace in hopes of establishing a relationship of veteran and rookie. Guillaume was with me last year when Ruperto blew past me at mile 71, and he was here again at mile 69ish. We both knew the game plan to hustle and keep the pressure on. It paid off as we arrived at Cal 2 as Scott was pulling out. A quick gulp of coke and the race was back as my legs relaxed and slid down the switchbacks to let me pass Scott back with ease. Seven minute hill came and I hiked/ran up it putting time and space between us. Things were looking good, but this was a very atypical fueling plan for me. The problem with relying on excessive amounts of caffeine and salt is that it puts you in a dangerous place; a place where for no reason, you poop blood at mile 77 as the second place woman runs by. It was very concerning, and I eased up a bit on the pace and focused on taking in more water and less caffeine and salt. I crossed the river and jogged most of the way up to Green Gate. Another "brilliant" protein and Red Bull cocktail had me on the side of the trail dropping my shorts a few hundred yards outside the aid station. I walked back into the run with Eli, and I started to click off some good miles again. Katie had been telling me that there was no one else ahead of me at aid stations, but I kept reeling in carnage. I think of Green Gate to Hwy 49 as a slightly more technical version of Cal Street (which is not really technical). My body was tense trying to get as many miles in before sunset, and my knee started to tighten up too much forcing me to walk a few steps every quarter mile. Another bathroom break at dusk, left me vulnerable to the surprise passing by Scott Wolfe again around mile 88. This was not going to be an easy fight. Eli and I rolled into Brown's Bar just a minute behind Scott and another runner, and before I could ask Hal Koerner where his red dress was, he was yelling "WHAT ARE YOU DOING HERE? GO CATCH THEM!" I gave a quick hand salute, gulped down some Coke and took off out of control reeling in the first runner and then tumbling onto the Quarry Road with no sign of Scott. We caught another runner and kept moving firm and quick. We finally saw Scott and his pacer hiking up the singletrack to 49, and I alternated a run-hike until we passed him and put a minute or two on him. Scott was moving really well on the downhills, so I rushed through the aid station and made the resolution with Katie to push hard up to the Cool meadow and do my best on the descent to No Hands. We caught Jorge Maravilla, and I grunted through the occasional technical sections to No Hands. The finish felt magically close, and we ran nearly every step to Robie Point. 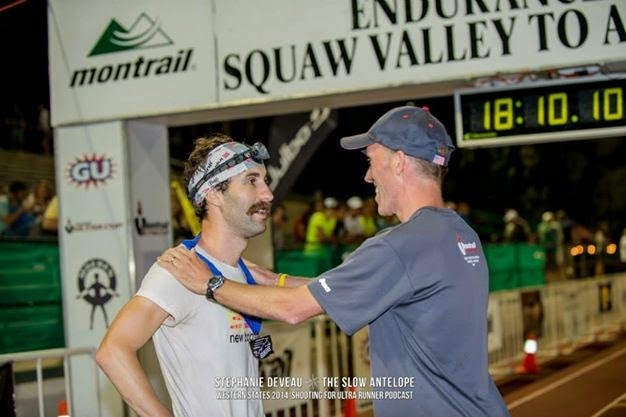 I caught David Laney and rubbed mustaches with him before moving onto the streets of Auburn and crossing the finish line, ecstatic to finish the day on my terms. So, if you didn't read all that, I basically struggled from mile 15-64, and then surged home. I had too much of a good training cycle. I achieved training goals for consistency and mileage, I achieved PR's on routes that I might have never hit, and I built up a lot of mental toughness for enduring bad days. The problem is that my body wasn't really good at doing anything after that training block except... training. Give me 7 days, and I cover 100+ miles quickly. I'll need 1-2 easy days, 2 workouts, and 2-3 long runs. Typically, one of those workouts or long runs featured me breaking down and crawling along, too stubborn to quit because of the sincere belief that I would be stronger on race day for it. Well, that worked for helping me finish the race no matter what, but it didn't work for keeping my adrenal glands healthy. From my limited experience with myself and other runners with adrenal fatigue, adrenal glands (which secrete the essential ultra running elixir of adrenaline, endorphins, and testosterone) are kind of like a really high class woman: they'll hold a grudge a long time if you piss them off, and they'll make you feel weak and worthless without them. I think my training cycle is at best 3 months, but mentally I like to train for races for 5-6 months. There's something about my engineering mind that enjoys long term, high investment, high return projects. Running a 100 miles just feels like it should be something that you prepare earnestly for months and months. In hindsight, it's really something that you have to train for similar to the racing strategy: easy for the first 30, strong for the second 40, and fast for the last 30. I should have done less mileage and been more structured in February. Then towards the end of April, I should have been ready to do some strong/fast climbing. Through May and June, it should have felt easier to do some fast long runs to build confidence and simulate race effort. Instead, my build up had too much mileage in February, workouts that were too slow in April and early May, and then very few strong long runs in late May and June. I think for the modern sport we have right now, mileage numbers are a very relative thing to your lifestyle, ability, experience, and rest that you can get. Mileage has a negative effect when you do a long run and can't relax and recover properly. Though I loved our trips to Auburn and the Sierras, I have to admit that I was too greedy on those long Sunday runs that put me back in the car for 6 hours, traveling back to LA at 1 AM to go into work the next day at 8 AM. I only was injured once for 2 weeks, and I still was running 50+ miles (while traveling), so my adrenals never got a good chance to reset fully. Once States rolled around, I was physically rested, but not hormonal-ly. I was nervous, worried, and on edge. The first 10 miles of the race probably drained my body just due to the sheer excitement of finally getting to race. 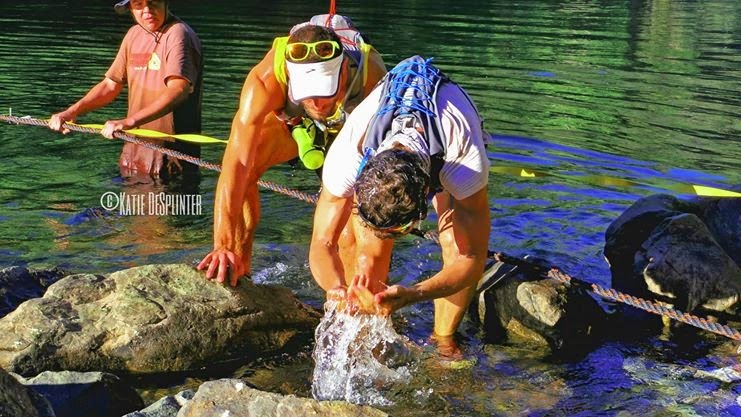 The quick pace over rocky terrain required another surge, but they instead slowed down and went into "survival mode" for 50 miles. On race day I thought, "this is such bad luck!" but now I see a clear pattern of asking for too much out of life and my body. Running 100 miles really feels exponentially harder than a 50 miler. There has to be patience and stubbornness in the exact right places to prepare the body to not just survive, but also perform. 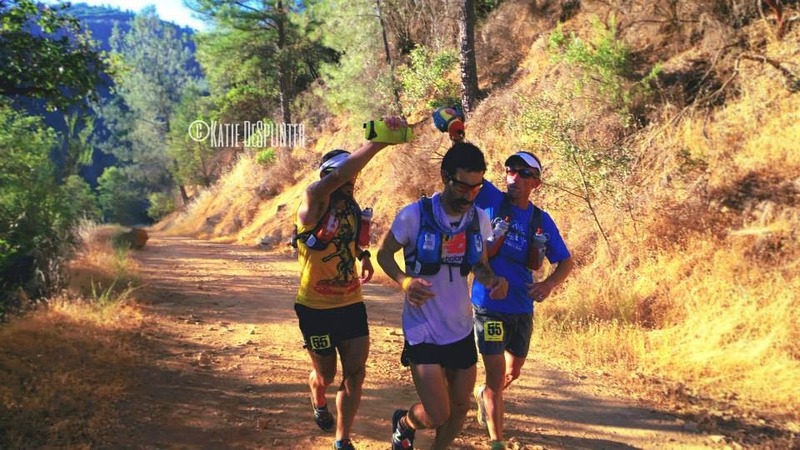 Our sport today is full of talented runners discovering trails and endurance in ways that very few ever did before. My 18:09 time would have won the race a few years ago, but on a nice day with a field of savy and talented runners, it's a 19th place finish. That's something that's going to continue to be a trend around the world as the sport keeps expanding. This weekend at Hardrock, there will be a dozen "winning times" run, but only one very fast, talented, well trained, and smart individual will pull off the men's win. Looking forward to AC, I'm planning on being more patient and thoughtful on race day. 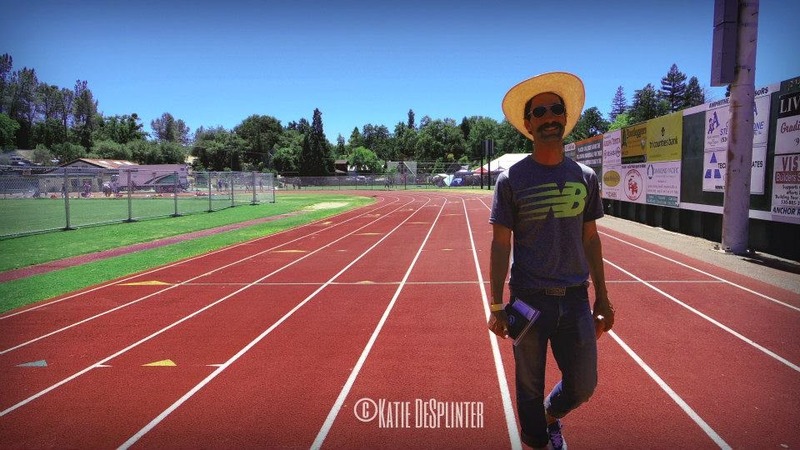 It's a course that I've run fast, ok, and slow on in every section multiple times, and the depth of experience I have should allow me no fueling or pacing mistakes. 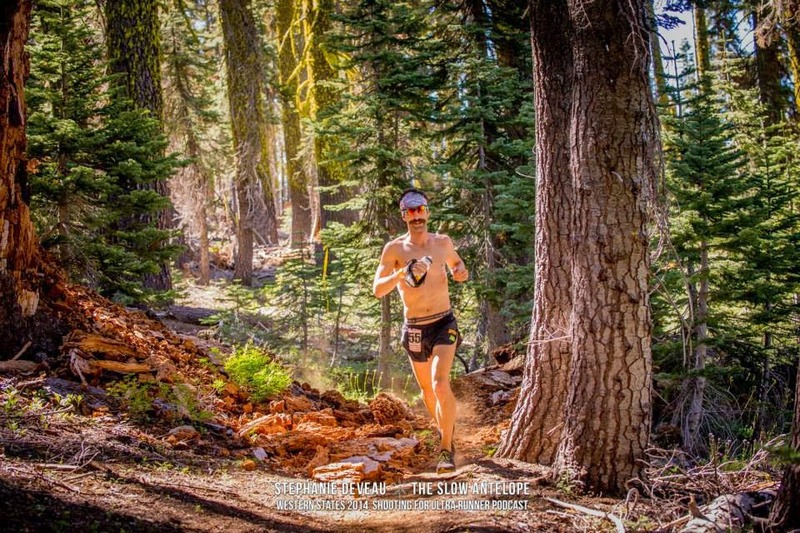 If I feel good at mile 17 on top of Baden-Powell, I won't hold back on chasing down a PR or the CR. My Dad's final PHD thesis paper started off with the Goethe quote "Enjoy when you can, and endure when you must." Great words; I think you nailed it. Funny and enlightening...thanks, really enjoyed it! I've never looked at it from an adrenal aspect but probably should. Small but powerful suckers! Dom: I've been following you from GA for some time now & have become quite a fan. I do wish you'd turn your Stetson right side forward, though. You're making the Texan in me shudder! Seriously, well done & way to persevere!